Last week a patient came in with one of the worst fitted prosthetic eyes I have seen in many years. It looked like someone took a prefabricated painted conformer, trimmed it to size, and sold it as a prosthetic eye. A conformer is a piece of plastic typically worn after an eye removal surgery during the healing process. It is meant to be a temporary solution and painted versions are available to give the appearance of an eye. The patient is shown here wearing a stock eye. Stock eye, like its name suggests, is a prefabricated shape that an ocularist picks out to fit into a socket, to be worn on a long term basis. It's like buying mass produced shoes as opposed to bespoke shoes, but the consequences are more serious. Aside from being uncomfortable to wear, they can lower one's self esteem because they look "fake" or they are unable to achieve good symmetry to the other eye. An ill fitted eye can result in problems with mucus/tearing and even damage the socket tissue. The patient above has been wearing this eye for three years. When I removed the prosthesis, there was a lot of exudate behind the prosthesis. In this case, there was too much gap between the socket tissue and the posterior surface of the prosthesis, causing fluid to accumulate in the dead space. Additionally, the edge of the prosthesis was never polished. Sharp edges with the tool mark still showing can scar the socket tissue, possibly leading to tissue contracture. The back side of the ill fitting stock eye with unpolished edges that can cause socket tissue scarring. Close up of the stock eye showing unpolished edges. If the socket tissue begins to contract, there is less room in the socket to hold a prosthetic eye. In extreme cases, a patient becomes unable to retain a prosthesis and/or the prosthesis has to be unnaturally small. This patient is fortunate that her socket isn't too scarred and she is still able to wear a reasonably sized prosthesis. The same patient wearing a custom fitted, custom painted prosthetic eye. Know that the practice of using a stock eye is prohibited by the American Society of Ocularists. 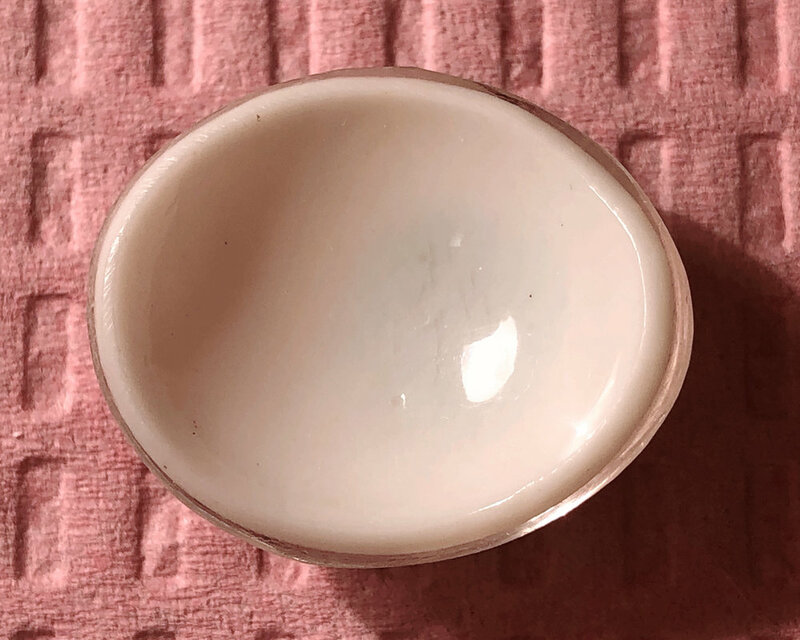 There is no special licensing required on the federal level (states may vary) in the US to practice ocularistry, so even an untrained person can sell prosthetic eyes. You are much less likely to receive a poorly made prosthetic eye if your ocularist is board certified through the National Examining Board of Ocularists (NEBO). A board certified ocularist carries the professional title of BCO. A BCO has over 10,000 hours of practical training and has to pass a number of written exams. A prosthesis should not have any sharp edges nor cause any constant discomfort. A prosthetic eye should be made to fit YOU. On rare occasions an ocularist cannot take an impression and must begin with a prefabricated shape. The key is that they must then customize it and also be able to explain why they are taking this approach. Regardless of the method of fabrication, your ocularist should be focused on making it comfortable and aesthetically pleasing for you. Your insurance company doesn't always know who the best ocularist is. They may refer you to an in network ocularist who does poor work rather than an out of network ocularist who does great work. A side by side comparison of the posterior side of the stock eye vs. the custom fitted prosthesis. The shape of the prosthesis is shown in a wax model, to be cast later into the final prosthesis. A side by side comparison of the stock eye vs. the finished painted prosthesis. *Rules and regulations may change. These considerations are applicable in the USA as of 2018.